장래의 인구가 줄어드는 문제는 대규모 국토개발에 대한 수요의 감소, 농촌 및 중소도시의 쇠퇴, 도시간 발전격차의 심화, 도심의 침체 등 여러 이슈를 야기할 것으로 예상된다. 이 연구는 한국과 일본이 직면한 저출산·고령화로 인한 인구감소시대에 대응하여 공간 빅데이터를 어떻게 활용할 수 있을지에 대한 공동의 관심사에서 출발하였다. 양국의 공간 빅데이터 정책 및 활용 동향을 살펴보고, 장래의 지역문제를 진단하는데 공간 빅데이터를 어떻게 활용할 수 있는지 그 방안을 도출하는 것을 목적으로 한다. 이 연구의 범위는 한국과 일본 전 지역을 대상으로 하며, 본격적으로 인구감소시대로 진입할 것으로 예상되는 2040년과 현재시점을 500m 규모의 정교한 공간단위로 진단하는 시범연구를 실시하였다. 시범 연구에서는 인구감소에 따른 지역의 생활취약성(Life Vulnerability)을 평가·추정하기 위한 공간 빅데이터 분석방법을 공동개발하고, 이를 한국과 일본의 사례에 적용함으로써 국토 및 지역정책에 관한 시사점을 제시하였다. 또한 향후 공간 빅데이터가 지역정책의 핵심지원도구로 발돋움하기 위한 정책적 방안과 관련기관들이 노력해야 할 과제를 도출하였다. 한국은 2011년을 기점으로 인구성장률이 감소하고 있다. 통계청에 따르면 장래인구는 중위성장 가정 시 2030년 5,216만 명의 정점에 다른 후 2060년에는 4,396만명으로 감소할 전망이다. 최근 사람 중심의 지역정책으로 패러다임이 변화하고, 인구감소에 대한 위기의식이 증가하면서 정부는 취약지역의 개조, 도시재생을 통한 생활권 육성 등을 다각도로 추진하고 있다. 그러나 인구감소에 대비한 중장기적 관점의 종합적 지역정책의 전략이 아직 구체화되어 있지 않은 실정이다. 한편, 일본의 총인구는 2008년 1억 2,808만 명을 정점으로 감소하고 있으며, 2060년에는 고령화율이 39.9%가 되어 8,674만 명으로 감소할 전망이다. 일본은 인구감소에 대응하여 지방살리기를 위해 ‘Compact+Network’ 전략을 중심으로하는 지방창생정책을 추진하고 있으며, 인구감소에 대비한 ‘국토그랜드디자인 2050’을 설정하여 향후 국토와 지역의 변화상을 국민과 공유하고 있다. 이와 관련하여 장래인구추계 자료, 국토모니터링 자료, 공간 빅데이터 등의 다양한 데이터를 공개하고, 향후 국토 및 지역정책 방향과 실행에 관한 국민적 관심을 유도하기 위해 정부에서 다각도의 노력을 기울이고 있다. 최근 한국에서도 소지역 단위의 다양한 정보를 공간 빅데이터로 구축하여 민간과 공공의 정책에 활용하려는 시도가 시작되었다. 민간부문에서는 모바일 통화량, 신용카드 거래정보 등을 활용하여 소지역 단위 유동인구, 지역경제 지표 등을 생산하여 기업의 새로운 가치창출을 위한 의사결정과 고객 서비스에 이용하기 시작하였다. 위해 정교한 데이터가 충분히 활용되고 있지는 못한 실정이다. 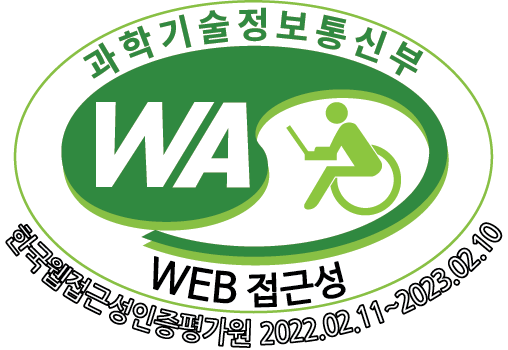 시범 연구에서는 이러한 인구감소에 따른 수요부족이 삶터에 어떻게 영향을 미치는지를 살펴보기 위해 공간 빅데이터 기반으로 문제지역을 진단하는 실증분석을 수행하였다. 한국과 일본의 협동연구를 통해 GIS 분석 기반의 공통된 분석모델을 정립하고, 이를 한국과 일본의 데이터 상황에 맞게 적용하였다. 분석모델의 적용은 ① 공간 빅데이터의 수집 및 처리, ② 미래인구(2040년) 추정 및 과소화지역 추출, ③ 장래 생활인프라의 폐점 시뮬레이션, ④ 생활취약지수의 산출 및 생활사막(Life Deserts)의 확대패턴 도출 등의 과정을 거쳤다. 분석결과, 한일 모두 인구과소화가 심각해지는 문제지역이 확대될 것임을 확인할 수 있었으며, 정책적으로 이들 지역에 대한 사전대응과 지원 정책을 발굴할 때, 공간 빅데이터의 분석 결과를 보다 정밀하게 활용할것을 제안하였다. 한일 모두 장래의 생활취약지역을 세밀히 진단하는데 있어 공간 빅데이터가 유용하게 활용될 수 있음을 확인하였으며, 양국의 공간 빅데이터의 유사성과 차이점을 도출하여 향후 개선할 부분도 검토하였다. 일본의 경우 2010년 인구를 비롯한 장래인구 자료가 500m, 1㎞ 격자의 세밀한 공간 단위로 매 5년마다 시계열적으로 구축되어 있었다. 반면 한국의 경우 16개 시도 단위 장래인구 추계가 유일하게 활용할 수 있는 데이터였다. 공간 빅데이터의 중요성이 이제 막 인식되기 시작한 한국은 최신의 건축물과 생활인프라 시설 자료는 구득할 수 있지만, 과거 시점의 시계열 자료는 존재하기 않아 활용에 제한점이 있다. 따라서 한국에서는 공간 빅데이터의 수집·구축·관리에 있어 데이터의 공간적 정밀도를 최대화하고 시간적 변화를 볼 수 있는 시계열 데이터 구축·관리를 위한 기반 인프라를 강화할 필요가 있다. 또한 데이터 출처와 관련하여 건축물, 격자단위 장래인구 추계자료를 일본에서는 민간부문에서 구득하여 활용한 반면, 한국의 경우 국가관심지점번호, 세움터 등의 공공부문에서 주로 공간 빅데이터를 확보하였다. 민간자료에 의존도가 높은 일본은 앞으로 공공행정에서 생산되는 자료를 빅데이터 자원화하는 노력이 필요한 반면, 한국은 민간의 공간 빅데이터 시장을 육성하여 공공과 민간의 데이터 융복합을 촉진할 수 있는 기반환경을 조성하는 것이 바람직 할 것이다. 인구감소시대의 지역문제 진단을 위해 공간 빅데이터는 ① 장래 생활취약지역의 초기 파악 및 관리, ② 생활인프라의 입지적정화를 위한 후보지 선정, ③ 장래 공간구조 재편전략의 도출 및 사전 평가, ④ 핵심 데이터 인벤토리 구축(빈집, 유휴공간, 취약인구분포) 등에 유용하게 활용할 수 있다. 이와 더불어 인구감소 문제에 대응한 공간 빅데이터 활용모델의 지속적인 개발, 고부가가치 공간 빅데이터를 창출을 위한 데이터 융복합 분석 방법론 및 기술개발 연구도 필요하다. 또한 공간 빅데이터 기반 지역문제 진단이 단발성으로 끝나지 않도록 인구감소에 대한 정책적 대응이나 지역정책 수행시 공간 빅데이터 활용을 권고하거나 의무화하는 제도적 환경을 갖출 수 있도록 지속적으로 노력해야 할 것이다. Depopulation is likely to cause multiple regional issues such as decreasing demands for large-scale land developments, declination of rural areas and middle-size cities, increasing gaps between cities, and so on. This study began from a common interest of Korea and Japan - how geospatial big data would be used to address the regional issues that declining population would cause in the near future. The study seeks to review policies and usage trends of geospatial big data in the two countries and to derive a new method where geospatial big data are employed to diagnose regional problems due to future population decreases. For the entire territories of Japan and Korea, the study compared life vulnerability (LV) at present to that of 2040, a time point when both countries would lose a substantial amount of population, at a fine spatial resolution of 500m square grid cells. For the comparison, the research teams of Korea and Japan collaboratively developed a spatial analysis method for the estimation and evaluation of LV due to depopulation. They then applied the method to analyze Korean and Japanese data, and used the results to derive new implications for regional and spatial information policies. Population growth has been slowed down since 2011 in Korea. It is projected that the Korean population would increase up to about 52 million by 2030 and then would decrease to about 44 million around 2040. Due to growing recognition of depopulation risks and strengthening focus on human-centered regional policies, Korean governments are struggling to improve life conditions of underdeveloped regions and create new living zones through urban revitalization. Nonetheless, there are no concrete, comprehensive strategies of shaping regional policies that could deal with new challenges from population declination. In contrast, population is already decreasing in Japan after its peak of about 128 million in 2008. It is projected that in 2060 the ratio of elder population would become 39.9% and the total population would reach about 87 million. To respond to depopulation, the Japanese government is struggling to revitalize regions through policy strategies such as ‘Compact+Network.’It also formulated ‘The National Grand Design 2050’to better inform its people of future changes in national territories and local areas. The Japanese government is also making efforts, such as sharing detailed data of future population distribution, the results of territorial monitoring, and micro geo data, in order to interest its people of current status and future directions of territorial and regional policies. Recently new attempts have been made in both private and public sectors of Korea to develop geospatial big data from diverse information based on small spatial units and apply the results to problem solving. To fill this gap, the study conducted an empirical analysis to examine how decreasing demands (population) would affect people’s living conditions in the future. The research teams of Korea and Japan first formulated a GIS-based analysis model through collaboration. They then collected and processed geospatial big data for Korea and Japan, respectively. Thirdly, the teams estimated the geographical distributions of future population in a 500m grid and identified underpopulated areas. Fourthly, the teams simulated which living-related infrastructures such as elementary schools, hospitals, etc. would be closed in the future. Lastly, they calculated indices of LV for the present and 2040, and examined how the distribution of life deserts would change in Korea and Japan. The analysis results of the study showed that underpopulated areas would expand in both Korea and Japan. These problematic areas were especially located around inland mountainous areas. Areas with a higher rate of depopulation would also face more severe levels of decrease in accessing living-related infrastructures, having increased levels of LV. From the analysis, the research teams found geospatial big data useful in identifying and monitoring underpopulated, life-vulnerable areas in detail. This capability of geospatial big data would be helpful for providing policy supports in a preemptive fashion for local areas with a high level of depopulation risk. 500m or 1km square grid for every five year. On the contrary, data of future population is available in Korea only at 16 Si-Do administrative units. Although latest data of buildings and living-related facilities were available in Korea due to its recent recognition of the importance of geospatial big data, historical data of those buildings and facilities are not available, which served as a limiting factor for the study. When collecting and managing geospatial big data, related agencies in Korea thus need to enhance their data infrastructures to increase spatial resolution and include historical changes. In terms of data sources, the Japanese research team obtained the data of buildings and future population from private sectors, which the Korean team acquired a similar set of data from public sectors such as Seumtu, etc. Japan with a high level of dependency on private data seems to strengthen its efforts to develop new types of big data from its administrative businesses. Contrastingly, Korea need to foster private markets of geospatial big data so as to facilitate integrated uses of public and private data. geospatial big data. In addition, governments need to create institutional environments where the use of big data is recommended or mandated when the practitioners of regional policies work on the issue of depopulation.